Some of you may know that my 4-legged fur baby is a huge ALPO Fan. Did you know that ALPO wet dog food brings excitement during mealtime for dogs and their owners by delivering great taste, nutrition and variety? ALPO wet dog food is 100% complete and balanced and has quality ingredients, like healthy protein sources, wholesome grains and accents of vegetables, contribute to form a complete and balanced diet for each life stage. ALPO dog food helps support a happy, healthy life, a shiny coat, strong bones and teeth and a mealtime tail that just can't stop wagging. A healthy dog is a happy dog. A few weeks ago, the amazing people at ALPO asked if Flint (my amazing pooch) would be willing to try out the ALPO Chop House® 5.5 oz. cans in different flavors. 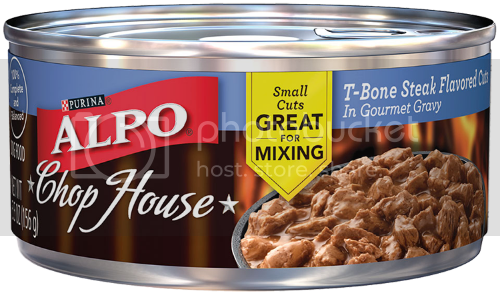 ALPO Chop House 5.5 oz offers unique flavors for your dog, such as T-Bone Steak Flavored Cuts, Tender Cuts With Lamb, Filet Mignon Flavor, and Rotisserie Chicken Flavored Cuts. I knew that Flint would be more than excited to give these flavors a taste test, so I happily agreed. 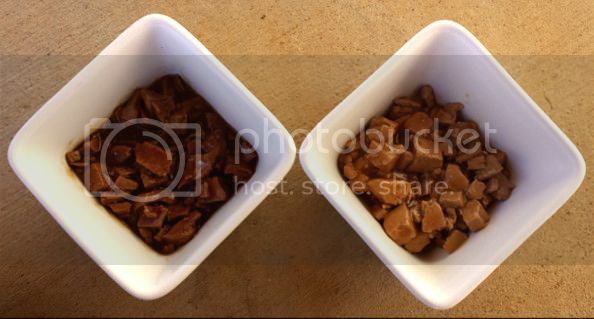 The first flavors we put the the test were the T-Bone Steak Flavored Cuts (left) and the Rotisserie Chicken Flavored Cuts (right). Flint could not stand the excitement while I set the food out for him. His tail was wagging so much that he couldn't sit still. He went straight for the T-Bone Steak then tested out the Rotisserie Chicken. I love the last photo where he is trying to reach the bottom of the bowl to get the last bit of food out. Although Flint is a large dog, ALPO Chop House 5.5 oz. is a compact can great for small dogs. ALPO Chop House comes in small cuts or finely ground that is great for mixing with dry food. 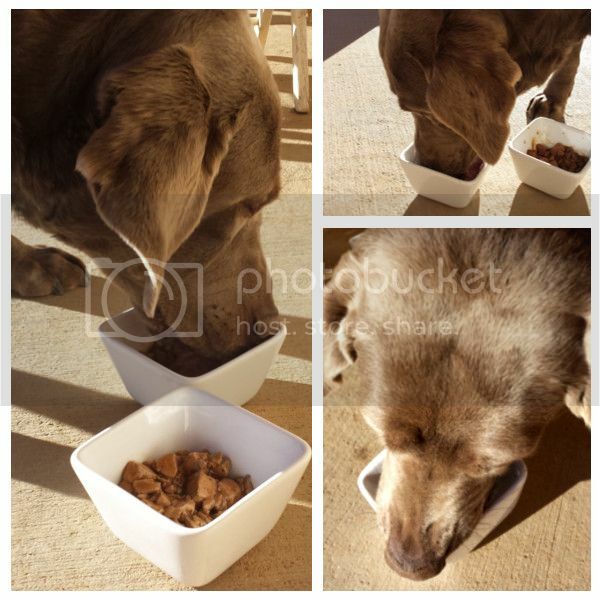 To learn more about ALPO’s variety dog food you can visit ALPO’s nutrition page http://alpo.com/dog-nutrition/ or ALPO’s wet dog food line http://alpo.com/dog-food/. You can also find ALPO® on Instagram. and join ALPO’s Facebook Page.